Protennisblog is a blog about professional tennis – ATP, WTA, ITF tournaments – you name it! This tennis blog will provide you with the best information about tennis matches and tennis players. I will focus on what we think is the most relevant topics in the world of tennis. However I also intend to write about some fun stuff – the things that tennis news sites seem to have missed. Welcome to the tennis universe as I see it. 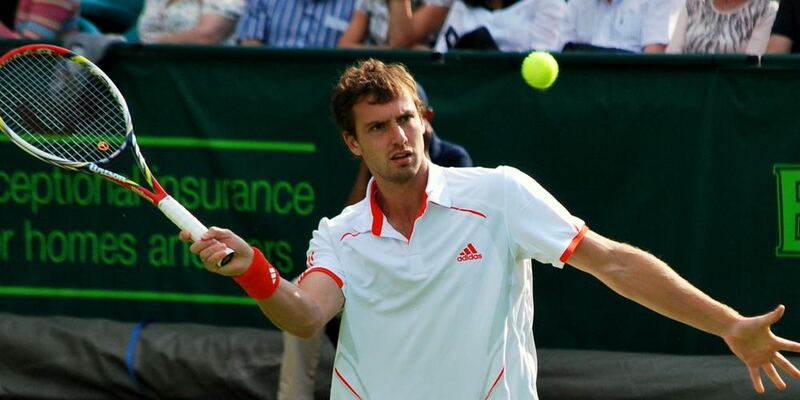 If we are interested in tennis, we know who Ernests Gulbis is. When he is playing on his best level he can beat anyone – players as Roger Federer and Rafael Nadal. He can, though, lose against the players as Baghdatis and Kuznetsov. And this is exactly what we are seeing happening this season. Gulbis is famous for his crazy quotes. He is for sure Mario Balotelli of tennis. Over the years he has claimed that it is impossible to earn any money on tennis unless you are Top 10 in the world. He has been arrested for buying services from a prostitute in Stockholm. He cut his hand and had to go to emergency when hitting the mirror at the hotel – because he did not like how he looked. He hinted that he likes Amsterdam because of marijuana. In one of his press conferences he was discussing vampires on tour. He never goes to Vienna ATP tournament as he is banned after his father’s racist remarks to the waiter. The list could be made longer. This season (2015) Gulbis has lost against Istomin, Chardy, Thiem, Kokkinakis and Vesely – the players he used to normally win quite easily. Last time when Gulbis had a losing streak like this, he was seriously considering quitting tennis. He has the money as his father is one of the richest businessmen in Latvia. So the only reason why he plays tennis is because he likes what he is doing. But does he really? Gulbis is one of the most talented tennis players in the world and I hope that he will continue playing for another three or four years. It does not look like this will be the case now. Even in his home country – a small piece of land close to Russia – Latvia – Gulbis is no longer considered the most interesting tennis star. Jelena Ostapenko receives more and more attention in media after her wins over last few months. She is just 17 years old and has Gulbis as one of her role models (whatever this means). Currently she is ranked 186 in WTA Tennis Rankings, but as it looks right now, she will reach Top 100 by the end of this year. For Gulbis it is the other way around. If he continues playing like he is doing, he will be out of Top 100 in no time. No one is talking about Martina Hingis anymore. She seems to be banned from all forms of media attention. This was not the case 20 years ago when she was the most prominent raising star in tennis. When Martina won her first Grand Slam in 1996, she became the youngest ever player to do so. The time flies so fast. Now she is 34 years old, so soon she will be eligible for ITF and Grand Slams for Seniors. She still plays tennis on WTA – in doubles and mixed doubles. She actually won Australian Open 2015 in mixed doubles partnering Leander Paes from India – a legendary tennis player who seems to never get old. He is actually 41 years old now. At this age most of the players already have quit playing on professional level and are focusing on senior tournaments. 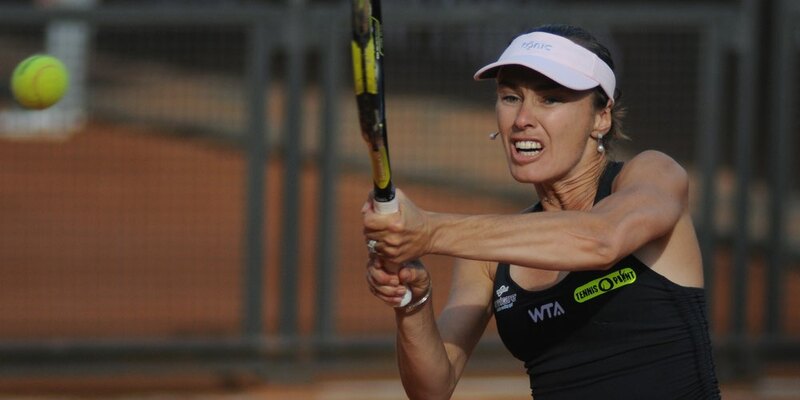 So why is no one within tennis talking about Martina Hingis’ big return? The reason for this is clear. Martina got involved into a cocaine scandal back in 2007. Her urine sample contained around 40 nanograms of this substance. She got suspended from participation in any professional tournaments for two years following this incident. We don’t know whether Martina has been doing drugs or it was, as she claims, just a contamination. Unfortunately, tennis fans and media seem to still believe that this drug thing was intentional. This is why no one is writing about beautiful Martina anymore. She is ignored by tennis journalists and it seems that it will never change. Kimiko Date is the iron lady from Japan. What other name can we come up with for this amazing tennis professional who is born 1970? She is turning 45 years old this year and she is still on tour playing with top-level players and sometimes even beating them. Isn’t this just great? Tennis is normally not that such of sports where you can compete with the best tennis players if you are over 30. Kimiko Date is breaking this stereotype. I think that taking into consideration this fact, Date should receive a lot more exposure in tennis media than she does now. She is a true dinosaur of women’s tennis – a legend. In January 2015 in Australia Kimiko managed to beat Irina –Camelia Begu – one of the absolute top players in Romania – ranked Top 30 in the world. And a week before that she won against Rodionova – another top player from Russia. 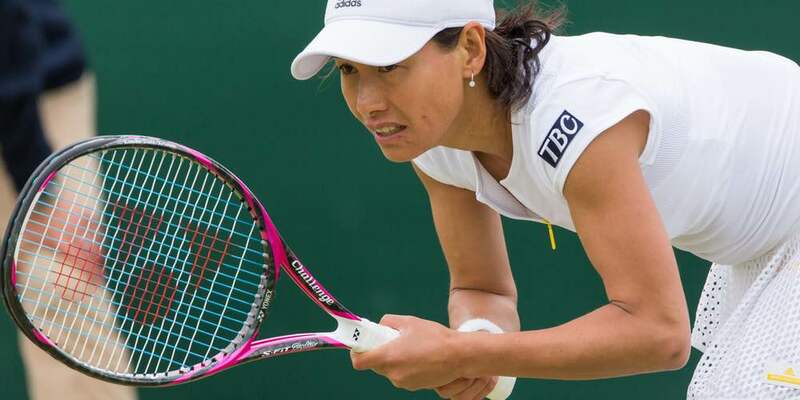 After Australian Open Kimiko Date did not win any of her single matches. In her last game she was forced to retire against Ninomiya Makoto – another Japanese player. I truly hope that it is nothing serious and Kimiko will continue playing on Tennis Tour and breaking all possible records. Her tennis style looks so out of date and it still works. Sometimes I am having fights with my friends regarding who would win if the players from different eras would meet each other at their peak. For example, Jimmy Connors or Pete Sampras? Manuel Santana or Roger Federer? When watching Date play young players, we can actually see the differences in playing styles. What is even more important is that we see that the older tennis style still work. This is a great proof for those who claim that the old players were as good as the new ones. I wish Kimiko the best of health and want to see her win some matches at Grand Slams this year. WTA Tour will suffer a great loss when Date will announce her retirement from tennis.